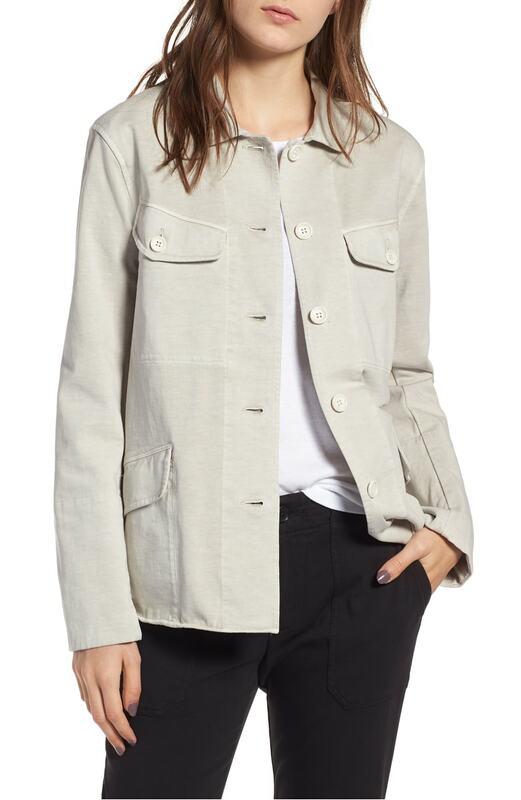 If you don’t mind shopping for cooler weather clothes now, this is a very good sale: here’s a James Perse jacket that would be a great for transitioning from summer to fall. 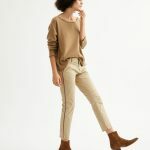 I like the trouser-like styling on these Frame jeans—right on trend. 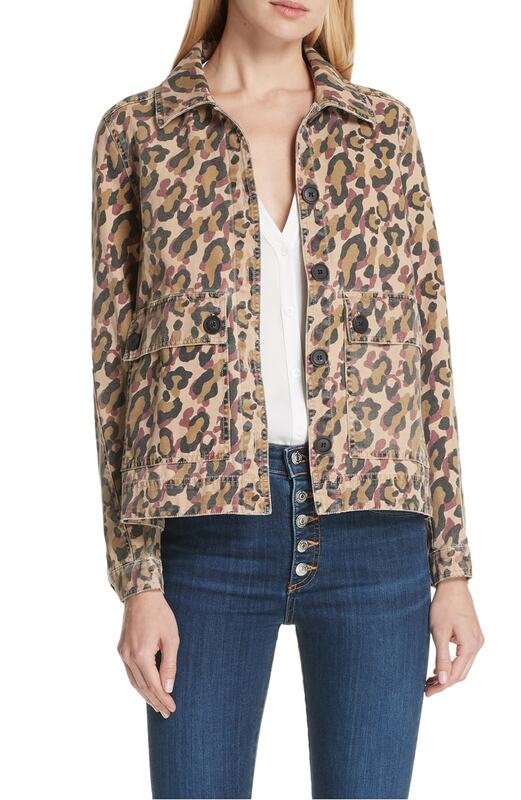 I am so into the colors of the leopard print on this Veronica Beard jacket, and also the fact that it almost looks like a camo print. 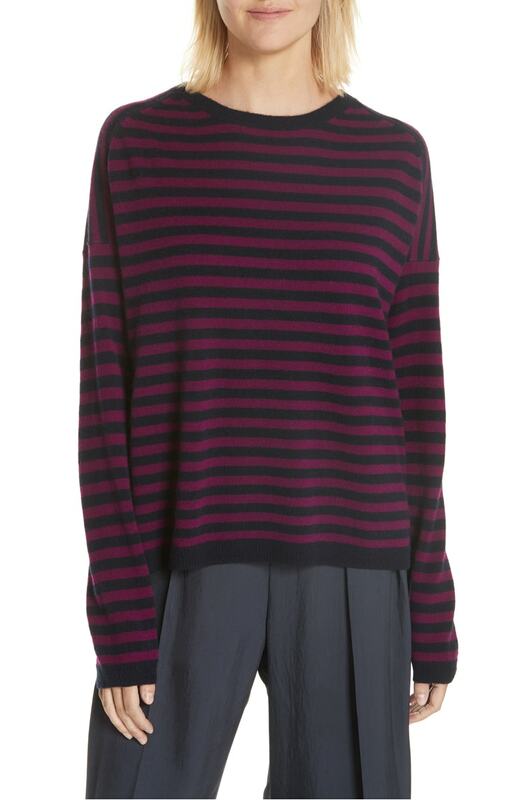 A cashmere sweater from Vince in playful stripes. These houndstooth pants are awfully snappy. 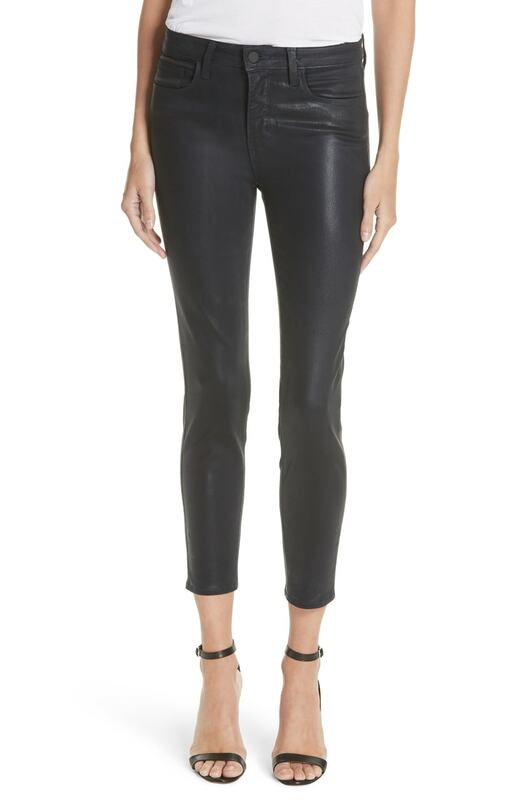 And these coated jeans give the illusion of leather at a fraction of the price. 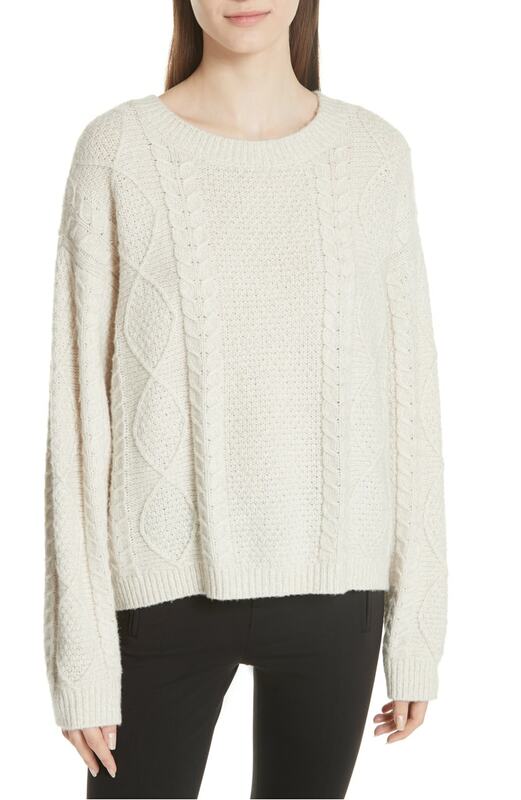 A classic cable-knit sweater is such a good weekend piece. 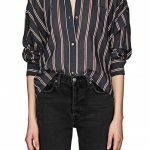 A really easy, flattering dress you can wear now and layer with a cardigan, tights and boots later. 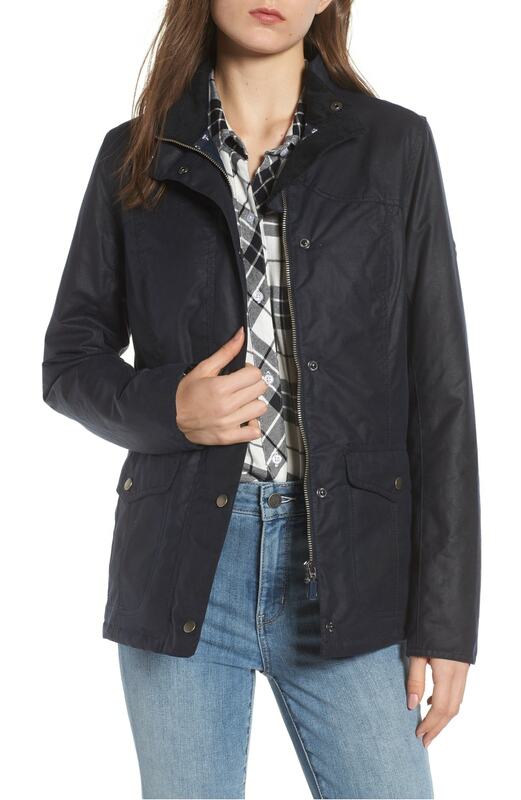 And finally: a waxed Barbour jacket, the likes of which rarely get marked down. Thank you for sharing your pics! I’ll have to go back. I picked up some jeans yesterday but not sure if I’m keeping any of them. They’re selling like hot cakes though! 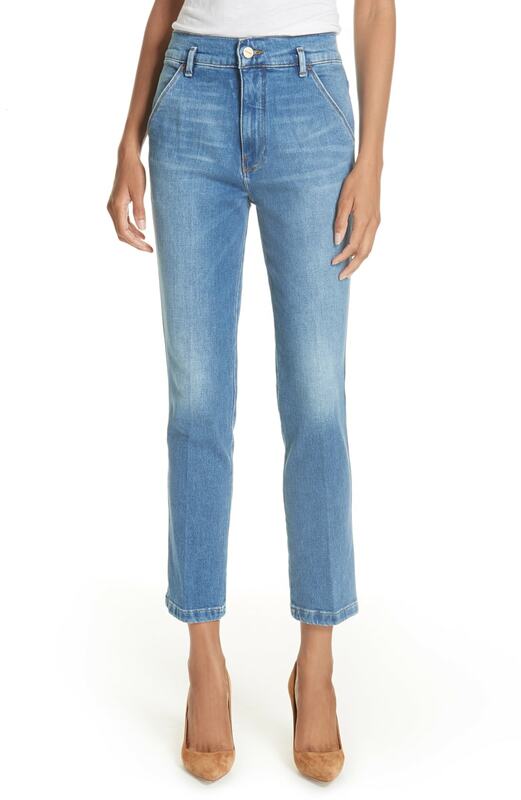 Rag and Bone Ankle Skinnies in both blue and black, Frame skinnies in the grey. Thank you for sharing your pics! I'll have to go back. I picked up some jeans yesterday but not sure if I'm keeping any of them. They're selling like hot cakes though! 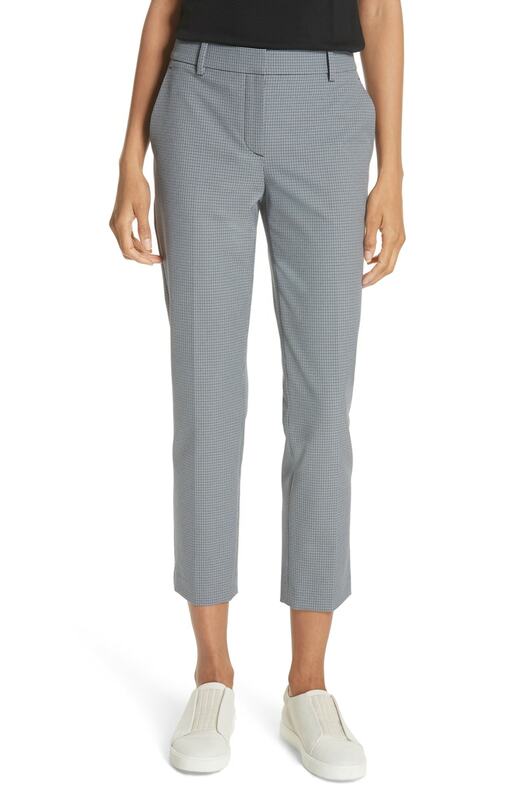 Rag and Bone Ankle Skinnies in both blue and black, Frame skinnies in the grey.